Can you tell if the dog you are approaching is friendly? Would it help if you could read their body language? We’ve all seen it. An unsuspecting child walks up to a dog with a smile as big as his face can handle. The joy on his face is quickly replaced by fear when the dog lunges and growls trying to scare him away. Could this have been avoided? Yes. With acute attention to a few simple cues, both parties could have walked away happy and unharmed. Let’s start with the child. If you are a parent, please don’t allow your child to walk up to a strange dog without warning. Dogs are dogs. They are not stuffed animals. Please teach this to your children as a safety precaution. Teach your child to ask permission from the dog parent to approach. Now let’s move on to the dog and her parent in this scenario. For all intents and purpose, let’s eliminate the dog. Honestly she’s the innocent party here. She is merely reacting to an unknown stimulus the best that she knows how. Now to the good part…the dog parent. Herein lies the crux of the situation. Dogs are inherent reactors. They encounter a situation and react to it. This is the common thought amongst the general population. But in reality, dogs are much more advanced than we give them credit for. In the world of economics, dogs would be referred to as “leading indicators”. They have an innate ability to be aware of something before it happens. They can show us what will happen before it actually happens. We just need to know what clues they give and when to watch for them. When you are in the initial training process with your dog, you learn how your dog works. You get more in tune with what your dog is thinking and when they are thinking it. This is your best defense mechanism against unfavorable situations. Get to know your dog intimately! How do you get to know your dog intimately? Getting to know their body language is the best way to do this. (More on that in another episode.) For now, let’s focus on a list of things you can watch for in your dog that may predict how they are feeling. This in turn will tell you how they will react to an incoming stimulus. Leaning forward – are they stiff or loose? Is their body lowered? Hunting position. Where are their eyes focused? Are their ears pulled back? Are they licking their lips? Is the mouth loose or pulled back? Is the jaw loose or tight? What is the speed of their breathing? Head position – is it up or down? Is her tail up or down? Is she barking while looking at you? Is she sitting or downing too fast? Is she unable to hold her position? Most dogs will show one or more of these signs as a cue to you. You are her protector and she is trying to tell you that she is not feeling right here. You need to remove her from the situation. You need to protect her from herself. That is all she is asking…protect me. When we look at the preceding situation this way, it is much easier to understand how it can be avoided. It is also easier to grasp how much smarter our dogs are than we realize. When you are in a lesson with Sonoran Dog Care, you will learn about dog body language. We can help you and your dog understand each other much better. 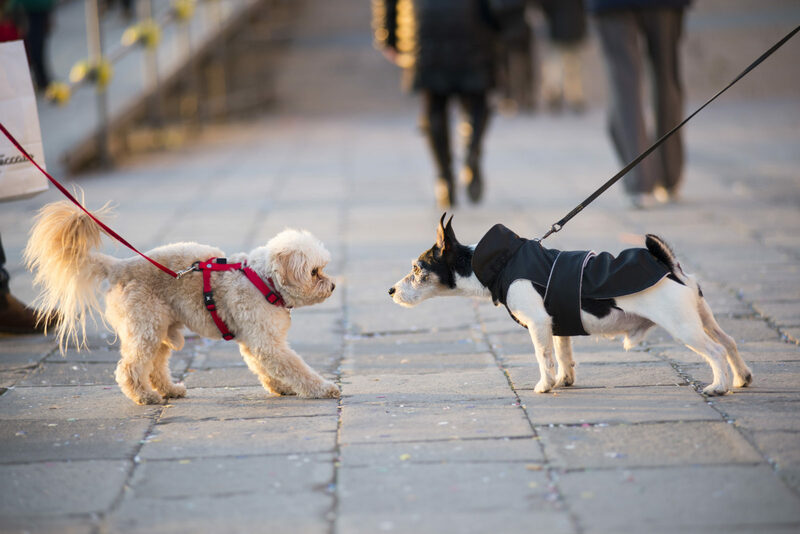 ← Dog Walking – How important is it?